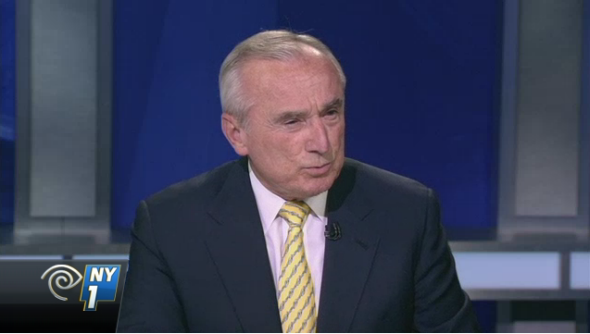 Bill Bratton in a Wednesday night interview. Update, 12:45 p.m.: Speaking at a press conference, Bratton publicly apologized to Blake and said the amount of force used to detain him may have been inappropriate. “It’s very disturbing. The idea, he claims that he was rushed by a person in a pair of shorts and a t-shirt who pushed him to the ground and he was assisted by four others who identified themselves ultimately as police officers and that he suffered an injury as a result of that. Just the nature what he described is not what we do,” Bratton said. The NYPD’s internal affairs unit is reportedly investigating the incident.